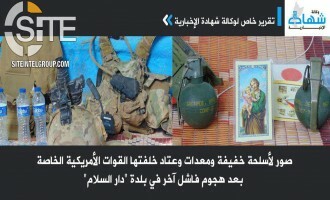 In its first photo report from Tunisia, the Islamic State (IS) documented its fighters preparing explosives and meals. 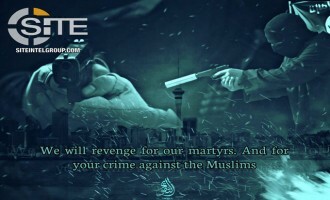 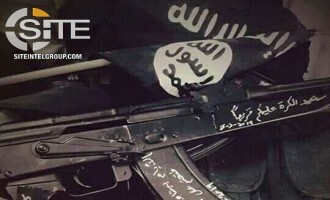 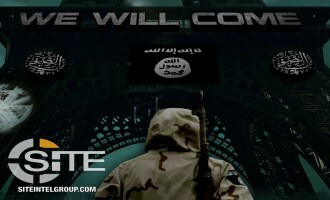 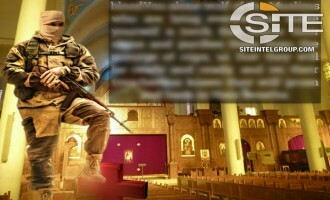 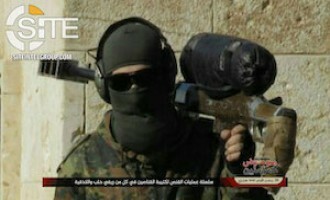 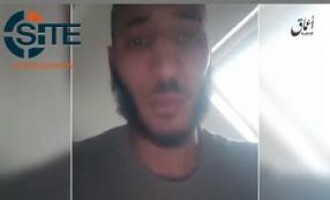 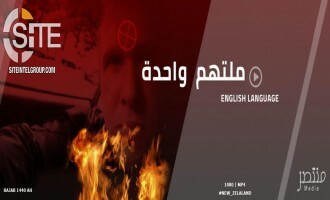 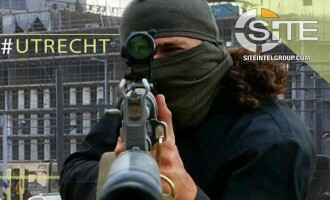 An Islamic State (IS)-aligned group used footage recorded by the Christchurch, New Zealand, attacker, among anti-Islamic imagery and clips, to incite Muslims to attack "Crusaders". 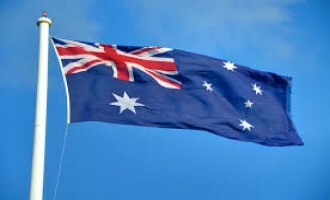 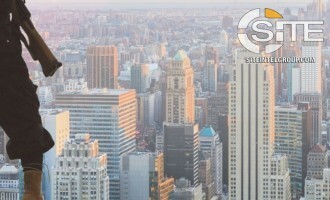 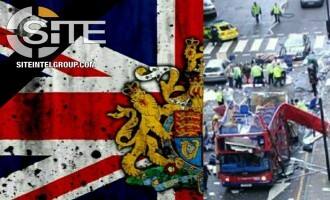 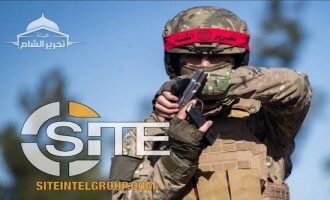 Muntasir Media Foundation released a 3 minute, 32 second, English-subtitled video entitled, "They Are One Sect," on March 16, 2019, one day after the deadly shooting at the Al Noor Mosque and the Linwood Islamic Centre. 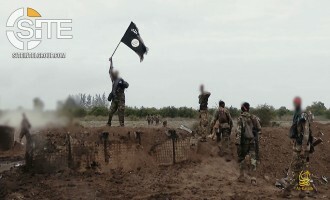 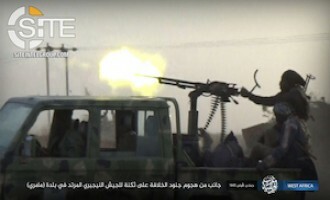 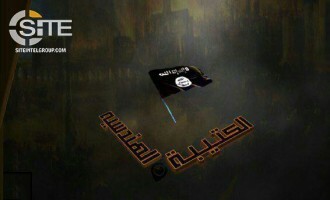 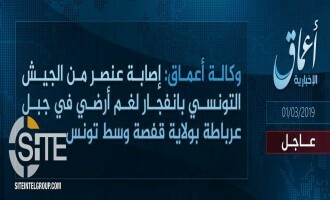 The Islamic State (IS) resumed its attack reporting from Baghuz, the town in Deir al-Zour, Syria, representing the last vestige of its "Caliphate," after a month of silence, and claimed multiple attacks on Syrian Democratic Forces (SDF). 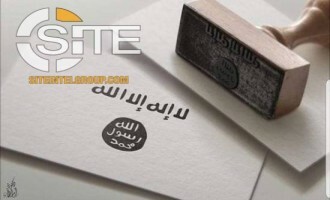 IS-aligned Group Presents Fighters with "General Rules for Fortification"
Presenting fighters with what it called "general rules for fortification," an Islamic State (IS)-aligned group advised in protecting their positions in enemy territory. 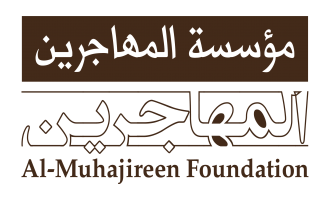 Al-Muhajireen Foundation, an Islamic State (IS)-aligned foreign fighter-centric group, dismissed European countries withdrawing citizenship from IS fighters, considering it irrelevant. 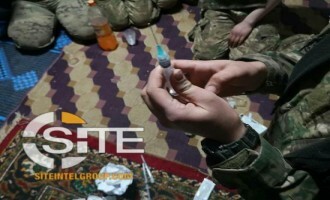 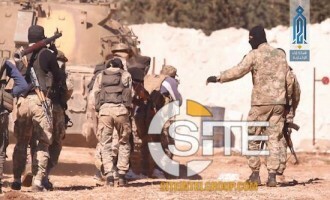 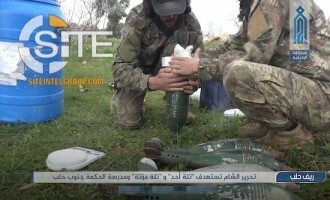 Hay’at Tahrir al-Sham’s (HTS) elite forces carried out a double operation against the SAA in Hama as part of its “Heal the Chests of the Believers” campaign. 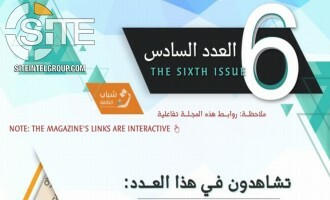 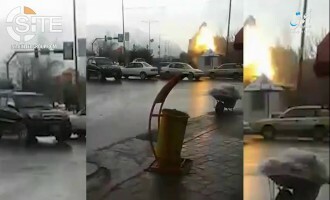 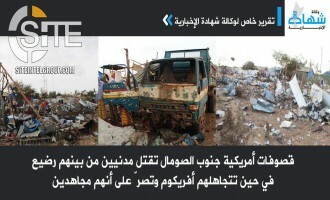 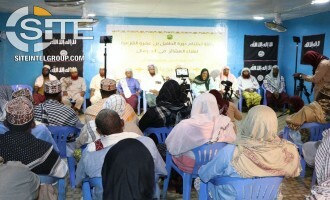 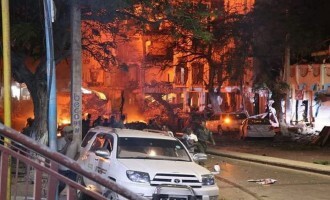 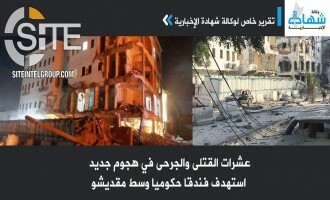 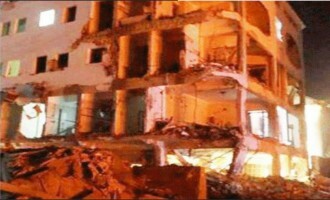 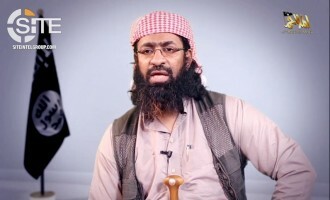 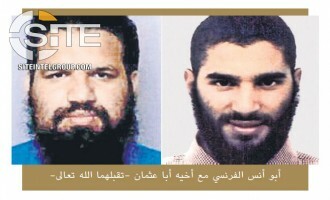 After the release of a speech only 10-days prior regarding the UAE and the historic papal mass in Abu Dhabi, Khalid Batarfi, an official in al-Qaeda in the Arabian Peninsula (AQAP), attacked Saudi crown prince Muhammad bin Salman for "quickening" the normalization process with Israel, and again urged regime change in the region. 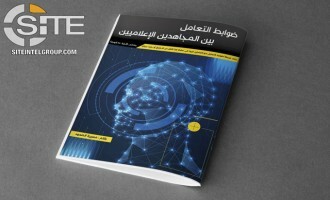 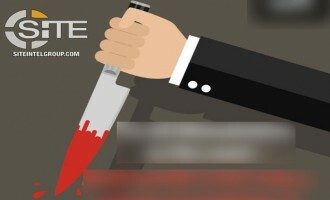 An al-Qaeda (AQ)-aligned group published a regulatory guide for jihadi media personnel to avoid infiltration of their ranks and deviation of their purpose. 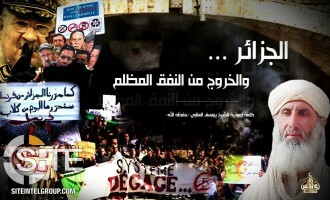 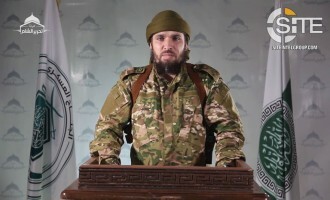 HTS Military Commander Warns Syrian Regime that 35 Dead in Latakia Raid is "Beginning of the Rainstorm"
Hay'at Tahrir al-Sham (HTS) released a video speech from its military commander, Abu Khalid al-Shami, warning the Syrian regime that the 35 soldiers killed in the recent raid in Latakia is only the "beginning of the rainstorm" should it continue to bomb liberated areas. 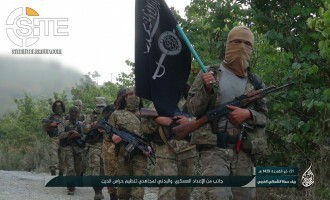 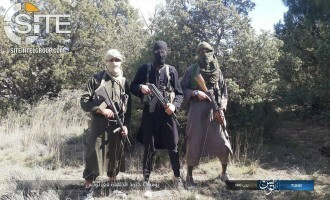 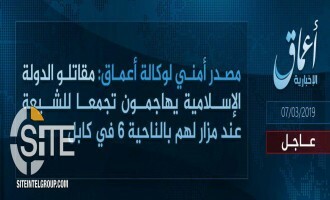 The Islamic State's Khorasan Province (ISKP) claimed inflicted 55 casualties among Afghan security forces and airport staff in a two-man suicide raid in Jalalabad, the capital of Nangarhar, Afghanistan. 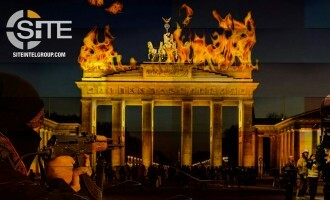 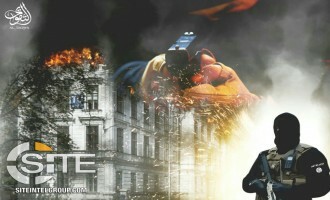 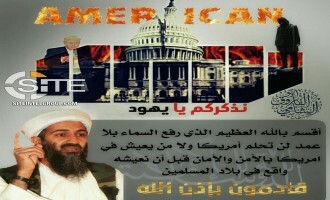 An Islamic State (IS) supporter displayed U.S. President Donald Trump and the U.S. Capitol building on fire in a poster reiterating a threat from former al-Qaeda (AQ) leader Usama bin Laden. 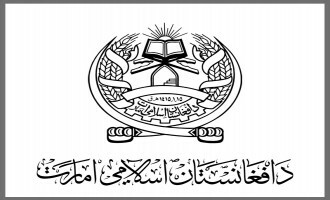 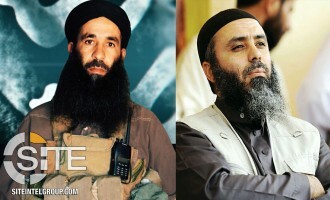 Afghan Taliban Reports Uzbek Officials Meeting with Political Chief in Doha, Provides Update on Negotiations with U.S. 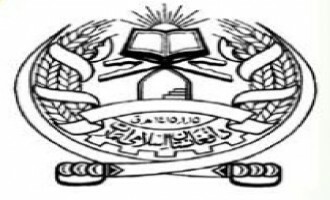 The Afghan Taliban reported that its Political Chief, Mullah Baradar Akhund, met with the Uzbek Foreign Minister and another official in Doha, and provided updates on its ongoing negotiations with the United States. 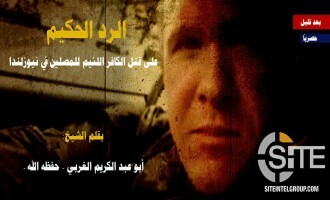 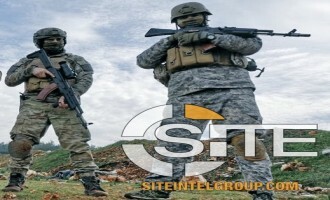 Malhama Tactical (MT), a military instructor group that trains Hay’at Tahrir al-Sham’s (HTS) elite forces, put out an advertisement for an instructor to teach tactical medicine. 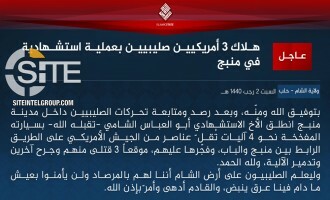 Hay’at Tahrir al-Sham (HTS) claimed a raid on SAA and pro-regime militias in the Mount Turkman area of Latakia governorate killing 35. 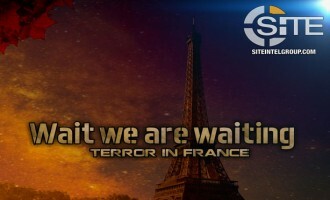 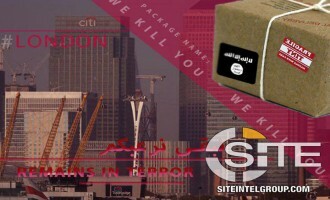 An Islamic State (IS)-aligned group published a message inspiring jihadists to be "mobile bombs" who either wage lone-wolf attacks in the West or post IS media on social media. 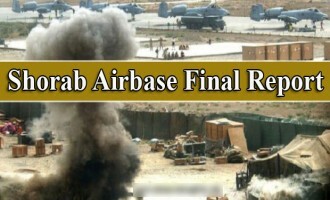 At the conclusion of the 46-hour, 9-man suicide raid at the Shurab Airbase in Helmand, Afghanistan, the Afghan Taliban claimed killing a total of 397 American and Afghan troops, and declared the operation as revenge for deliberate civilian casualties caused by these forces. 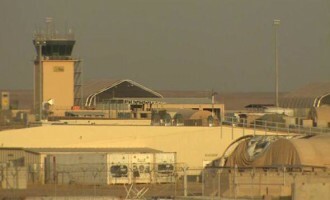 In an update to the suicide raid by Afghan Taliban fighters at the Shurab Airbase in Helmand, the group reported that clashes inside the location have surpassed 33 hours and are still ongoing, despite claims by the Afghan government to the contrary. 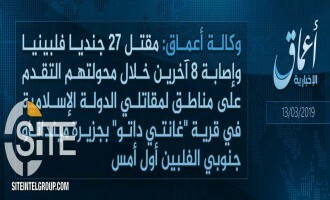 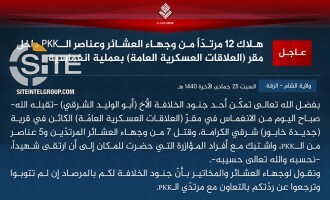 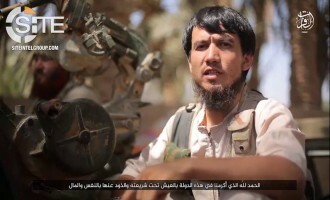 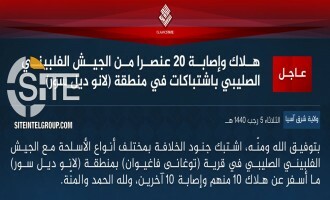 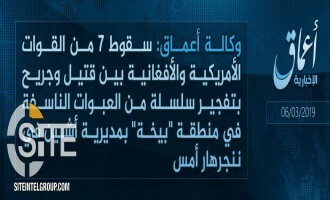 The Islamic State (IS) claimed a suicide attack involving a single fighter on a Civil-Military Relations headquarters in Syria's Raqqah governorate, and threatened tribal elders cooperating with the Syrian Democratic Forces (SDF). 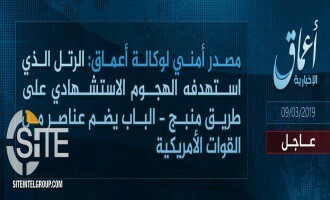 The Islamic State (IS) claimed wounding a Tunisian soldier was wounded in a landmine explosion in Tunisia's Gafsa governorate. 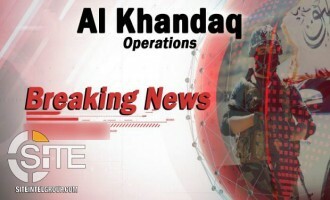 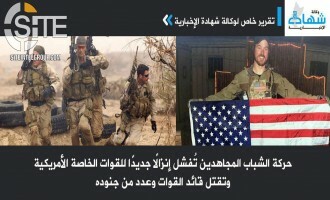 The Afghan Taliban has provided several updates on an ongoing multi-man suicide raid at the Shurab Airbase in Helmand province, southern Afghanistan, the latest of which is the alleged killing of 40 American soldiers and 30 Afghans. 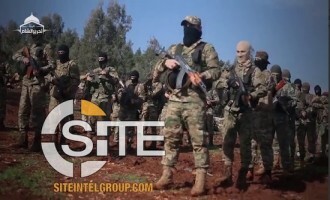 Demonstrating how jihadists use Twitter for communication, a Syria-based military training group affiliated with Hay’at Tahrir al-Sham (HTS) obliged a Twitter account’s request to “make contact” with it by providing Telegram account information. 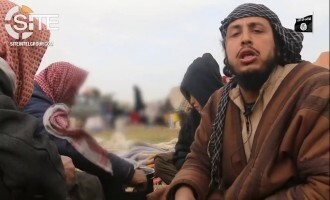 Jama'at Nusrat al-Islam wal Muslimeen (JNIM) released a video of its Macina region official, Muhammad Kouffa, sitting for an interview with the group's media wing and that of AQIM, regarding the French military claiming to have killed him. 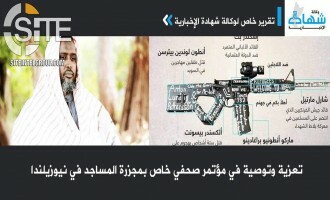 Al-Qaeda in the Arabian Peninsula (AQAP) delivered a video speech using the occasion of the historic papal mass in the UAE to incite regime change in the regime. 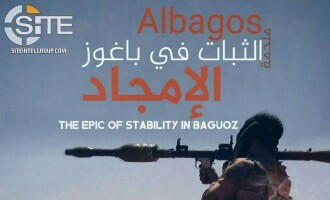 Suggesting that silence from intergovernmental organizations (IGOs) and non-governmental organizations (NGOs) to civilian casualties emboldens the U.S. to carry out its alleged massacres, the Afghan Taliban demanded these institutions fulfill their responsibilities and make an outcry. 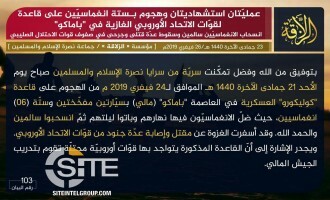 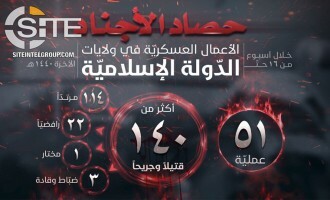 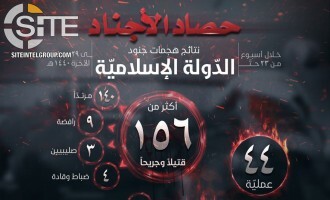 The "'Incite the Believers' Operations Room," a Syria-based al-Qaeda (AQ)-aligned coalition of jihadi factions including Hurras al-Deen, claimed inflicting 14 casualties among regime forces in a raid in Aleppo. 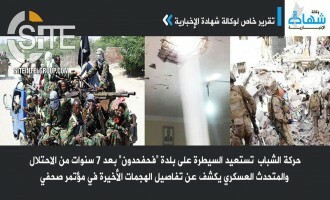 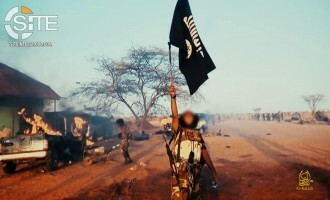 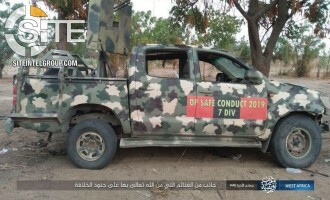 After its attack surge on the day of the Nigerian elections, the Islamic State's West Africa Province (ISWAP) continued its military activity, attacking soldiers in a town in Borno state.